Am I the only one secretly happy to turn the oven on again? It doubles as a heat source – when I’m baking or making dinner the kitchen is deliciously warm to work in. Or, I could actually put on a pair of socks (as Adam always says, don’t tell me you’re cold when you’re not even wearing socks or long pants! 😉 haha – maybe I should put those things on first. 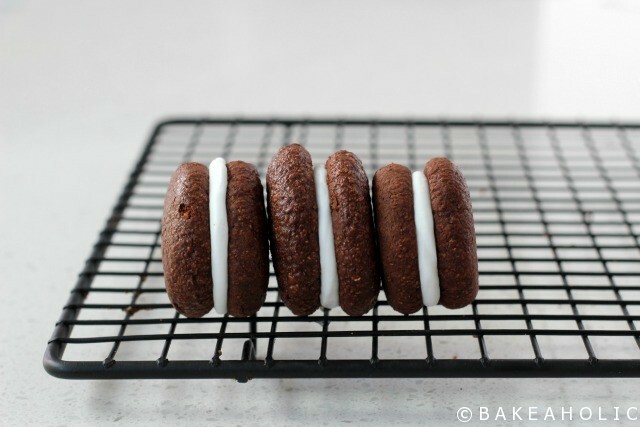 I’d rather make these Vegan Oreos – any excuse to turn the oven on! I think each year we try and see how long we can go before we turn the heat on – It’s almost Halloween and we’ve managed to keep it off so far – except for a small portable heater we used in the living room sometimes. Adam’s lent me his socks from working in Alberta, good in minus forty temperatures. Maybe it’s just been a milder fall so far, though we did have a pretty big storm roll through a couple weeks ago. I hope the rain stays away for Halloween night. Since it falls on a Monday this year, I get to dress up at work (school) and hand out candy. If it falls on a weekend, we’re usually at a halloween party. Last year we were on the island for a friends party, so no handing out candy. I secretly love handing out candy – and decorating. The teachers at my work have all decided to dress up as a theme this year. I still have to get a few things together for it – but i’ll share my costume next week! My students are quite excited to dress up too – and we also have a Halloween dance on Friday as well. 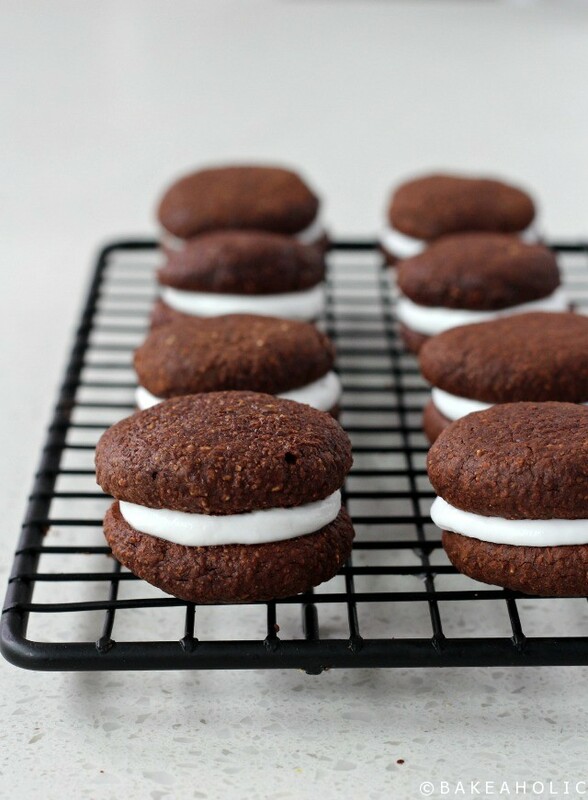 If you’re looking for something a little more grown-up for halloween, try these gluten-free, vegan Oreos. There’s nothing spooky about them – natural ingredients and quick to make! Treat yourself & I hope you have a great Halloween! A vegan twist on your favourite childhood cookie. 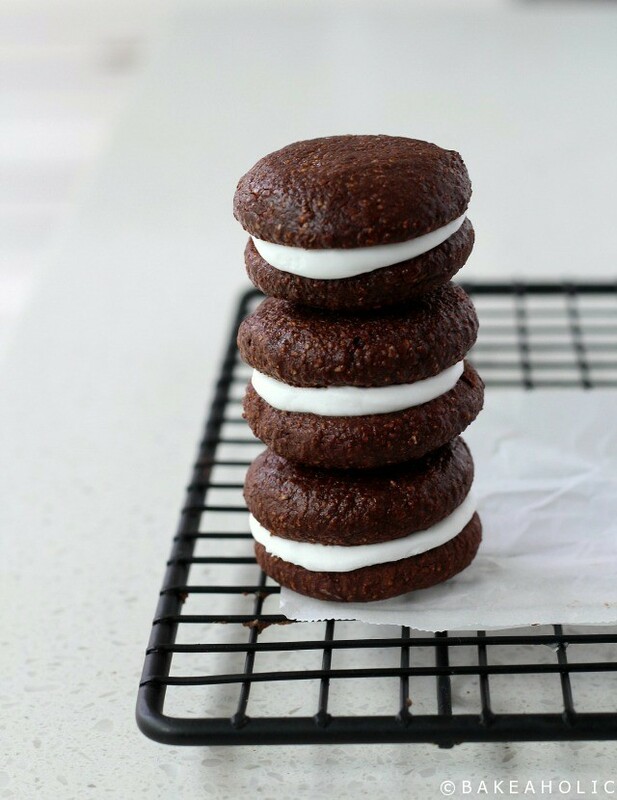 A vegan, gluten-free Oreo with a coconut cream centre. Combine all the ingredients together in medium bowl. Mix with wooden spoon to form cookie dough. It will be thick. Roll into 16 1-inch balls. Arrange on pan lined with parchment paper. Bake for 8-10 minutes. Alternatively, you can grease the bottom of a cup and flatten the cookies, pressing gently. Set aside and let cool. As they cool they become more crisp. Open the can of chilled coconut cream. Spoon into piping bag, and snip off the tip. 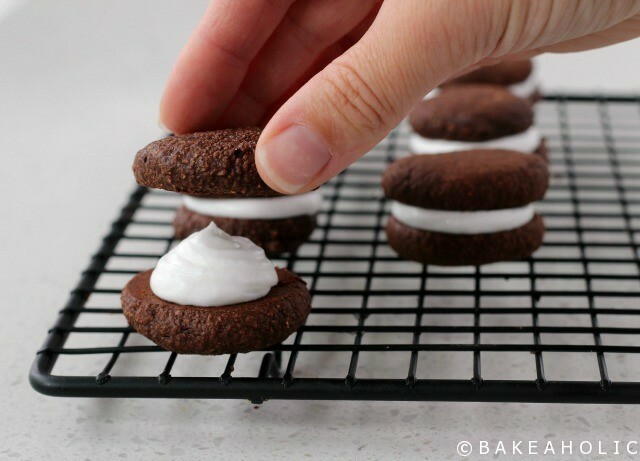 Once cookies are fully cooled, pipe cream onto the flattened top of one of the cookies. 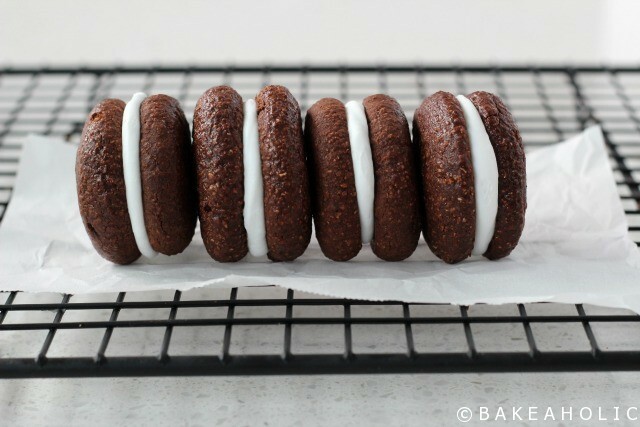 Place another cookie on top, and gently squish together. To make oat flour, simply pulse gluten-free oats in high powered blender or food processor. 1/2 - 1 cup of oats will be more than enough. Store cookies in refrigerator for 2-3 days. These are delicious frozen - too! 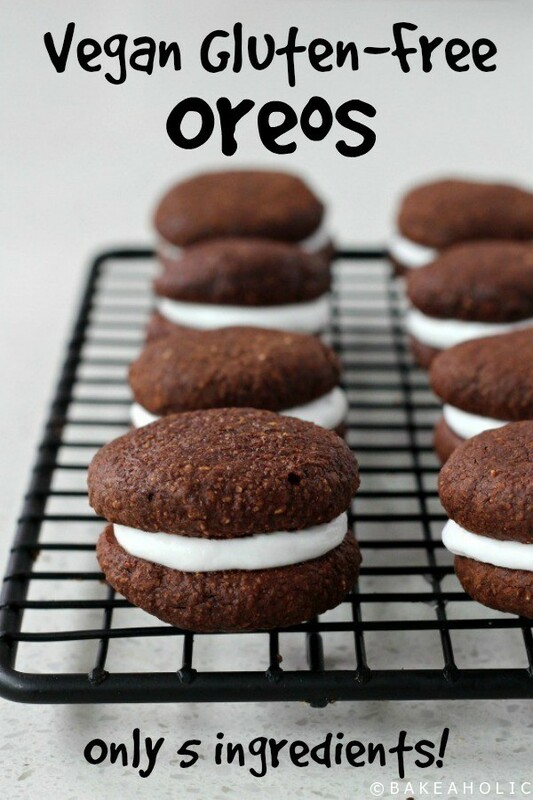 Will be making these – love doing chocolate dipped oreos, but obviously can’t for gf people,so will try these soon!